Teresa Carol has been an internationally known psychic for the past 26 years and has visited over 29 countries to study with Shamans, Healers and Spiritual Masters. Her life is devoted to empowering people. Author of All Spooked Up, she does readings and healings for those looking to improve the quality of their lives or develop their spiritual gifts. All Spooked Up is a charming peek into the Subtle Realms from a professional view point. Also included are six true Ghost Cases from Teresa’s personal investigations. Teresa’s next book is titled, Soul Journey, A Little Blue Book on Death & Dying. Ask Teresa for the publication details. In her readings, Teresa sometimes uses “tools” such as numerology, palmistry, or tarot cards – whatever she feels will give the most accurate reading for you. Quite often she will simply touch her feelings and yours. During an emotional trauma, Teresa became aware of her psychic gifts. After a period of training, she found that she was able to go into trance at will to obtain many types of valuable information with exceptional accuracy. 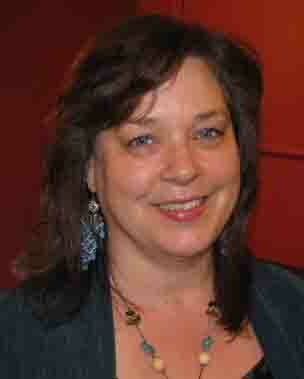 Since 1985, Teresa has been a full time Psychic Consultant. Continuing her education in both the Metaphysical and Counseling fields, Teresa constantly increases her proficiency and presentation. As a certified counselor in the State of Washington, Teresa Carol holds degrees in Social Services, Chemical Dependency Counseling & Cross Cultural Psychology. As an ordained Minister of the Universal Life Church, Teresa preforms weddings, funerals, and other spiritual rites of passage. Teresa has been regularly interviewed for local television, radio & newspapers in Canada, Mexico, Peru as well as the United States. Recently she was featured investigating a haunted house on Evening Magazine and interviewed on Kube FM Radio.